Paper & Pints is back! 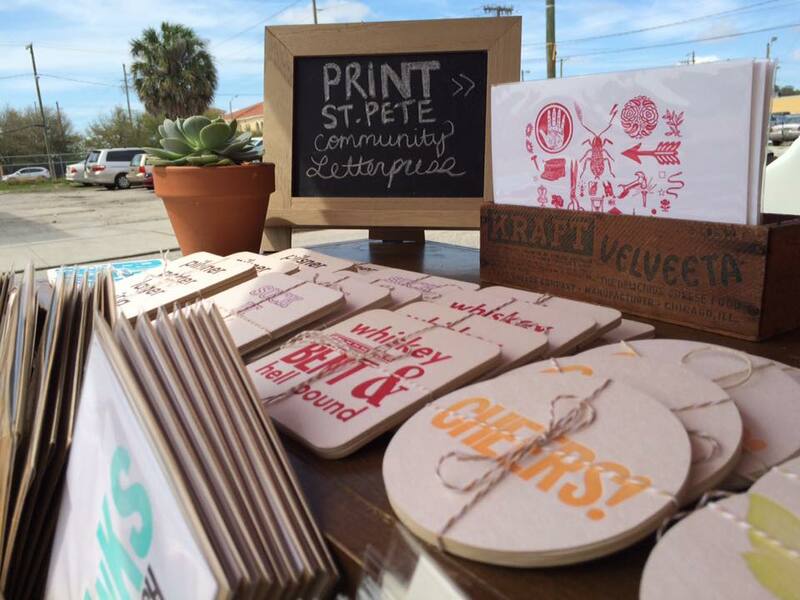 Join us this Friday for an open house at PRINT ST. PETE Community Letterpress. We’ll be printing limited edition coasters available for purchase and offering brews by donation. It’s a great chance to scope out the studio and learn more about our Letterpress Basics workshops and studio rental opportunities. We’ll also have letterpress goods for sale by Oma Darlin’ Press and The Southern Letterpress. Drop on by and feel free to BYOB! Free and open to the public. Visit our Facebook event page for more information.